Few cruise lines can provide a personal touch like Blount Small Ship Adventures, (formerly named American Canadian Caribbean Line) which has been family-operated for more than 40 years, back when the only way travel along the rivers of the U.S. was by owning a yacht – or knowing someone who did. What began as sword fishing expeditions with friends now reaches beyond U.S. borders to as far as south Central America. Each of Blount’s three ships has a passenger capacity of 84-100, and is specially designed to navigate shallow waters – including New York’s Erie Canal which reaches just 12-feet deep. Blount is the only cruise line currently offering lengthy, two-week itineraries in America’s heartland along the Tennessee, Illinois, and Ohio Rivers. Onboard the ships, expect a laidback atmosphere, simple cabin décor, and a BYOB policy. With prices starting from just $1,495 per person, Blount is considered the budget option (compared with some of its major competitors). Book any remaining cruises in 2010 and save $250 per person. Waking up each morning to freshly brewed coffee and blueberry muffins baking in a wood-fire oven may sound like the beginning of a fairy tale, but sailing along Maine’s coast provides that warm glow each day as the changing landscape unfolds before you. Twelve authentic (and beautifully restored) schooners make up the Maine Windjammer Association and are so synonymous with Maine, you’ll find even find one – the Victory Chimes – minted on the back of the 2003 State Quarter. Each ship delivers a hands-on approach (you are part of the crew), and a unique sailing schedule that incorporates local events. You may find yourself on a 4-day Irish music cruise, or joining in a schooner parade in the harbor during the Camden Windjammer Festival. While onboard, expect a return to a bygone era of sailing when cabins are just that: cabins. There are no “suite” staterooms, no balcony views, and no private lofts. For a lingering reminder of the experience, many weeklong cruises wrap up with a traditional Maine lobster bake on the beach. Rates vary based on ship but average around $850 per person for a six-night cruise. Book a cruise on the Nathaniel Bowditch by July 4 and save 10 percent. There is something enchanting about the St. Lawrence, an 800-mile stretch that connects the Great Lakes to the Atlantic Ocean. The waterway holds many secrets and folklores hidden in the quiet coves, inlets, and villages that line its shores. From the castles and mansions of the Thousand Islands region, to the old-world charm of Quebec City, a transit along this historical river promises to redefine a summer romance. St. Lawrence Cruise Lines operates one steamboat ship, the 66-passenger Canadian Empress on 2-to 6-night cruises from late May through October from Kingston, Ottawa, Quebec City, or Montreal. Onboard accommodations are bare-bones: expect limited cabin space (keep the luggage to a minimum), bunk beds (some cabins have doubles), and pump-toilets. There are two seatings at meal time, when the chef serves up homemade bread, mouthwatering spare ribs, and fresh fish and vegetable entrees. 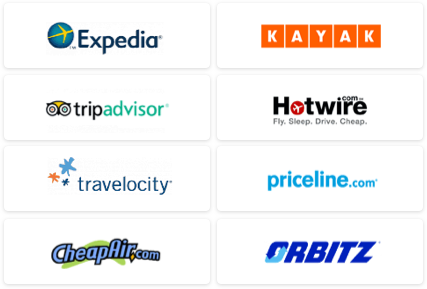 Rates include all meals and snacks, shore excursions and related transportation. Two-night summer cruises start from $788 CAD ($769 USD) per person. Six-night sailings are priced from $2,324 CAD ($2,267 USD). Slightly lower rates are available on select dates in spring and fall. In addition to Ben & Jerry’s, Vermont is known for its unspoiled scenery and natural beauty, and sailing quietly past these majestic wonders by boat is a match made in heaven. Tucked beneath the Green Mountains and New York’s Adirondacks, you’ll find the Lake Champlain Islands – a true treasure for anyone looking to take it easy. This archipelago is home to five small towns, a freshwater coral reef, and New England’s oldest log cabin, and has its fare share of local cheese, wines, and chocolates to bring home. Or, sail from Burlington to Montreal and take a stroll along the boardwalk in St. Jean, Quebec and witness the integral lock system in Chamblay. Vermont Discovery Cruises offers 1-night to 6-night escapes aboard the 16-passenger ship, the Moonlight Lady ? a replica of a 1920s era inland waterways cruiser that carries just eight cabins. An overnight Lake Escape Vermont package sells for $199 per person, while the six-night Discover Montreal cruise is priced from $1,194 per person. In 1997, the German Cruise line, Hapag-Lloyd brought its ship full of German passengers to experience the Great Lakes which sparked entrepreneurs Tom and Chris Conlin into forming the Great Lakes Cruise Company. If see some familiar faces on Great Lake’s fleet (namely the three vessels of Blount) it’s because the company charters the vessels from other lines – including Hapag-Lloyd’s 423-passenger MV Columbus, and Travel Dynamic International’s all-suite luxury ship, the Clelia II. Hop aboard a 7-night cruise from Duluth to Toronto (or vice versa) and witness the power of Niagara Falls, car-free Mackinac Island, and Old Fort William in Thunder Bay. Special themed voyages, like photography, music, and health and wellness feature expert speakers and instructors. Rail transportation is available on several cruises for anyone that’s had their fill of the airline’s shenanigans. Prices aboard the Clelia II start at $5,695 per person and include shore excursions, port taxes, gratuities, meals, and open bar. 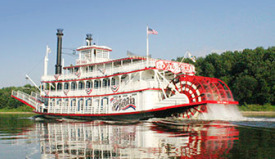 Decked out in red and white trim, the Spirit of Peoria channels a Mark Twain-era riverboat as it chugs along the Illinois and Mississippi Rivers on 2- to 5-day adventures. Propelled by a 21-foot diameter paddle wheel, the Spirit will sail from Peoria to St. Louis and Florence, past stunning canyons and historical towns. Being onboard feels like a blast from the past with live entertainment, a ragtime piano, an old-fashioned banjo, and an earful of storytelling and “riverlore.” Passengers will spend the nights in hotels in port (including the boutique Mark Twain hotel), following guide tours and hikes. Two-day trips start from $279 per person, and 5-day cruises are priced from $765. 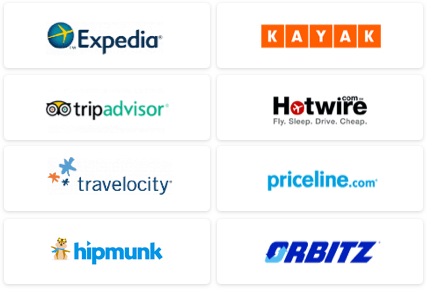 Tickets are all-inclusive, so there’s no need to pay extra for beverages, gratuity, excursions, or baggage handling. After an unsuccessful attempt at launching a cruise line in the 1980s, the owner of American Cruise Lines got back up and tried again in 2000 with one ship – the American Eagle. Perseverance prevailed, and the company has steadily developed into a major player in the river cruise industry, navigating waterways in the southern U.S., New England, the Pacific Northwest, and the Mid-Atlantic. Earlier this month, the spanking new Independence debuted, joining the fleet’s four other vessels ? including the classic hydraulic paddle-wheeler, the Queen of the West. Carrying between 49 and 120 passengers, each ship provides a close-knit experience along the canals, rivers, peand lakes that have played such a crucial role in our nation’s history. Coast past villages that were once home to English colonists along Chesapeake Bay, witness manatees and alligators in their natural habitat on the “Great Rivers of Florida” itinerary, or sail from New York City along the Hudson River, when the foliage is bursting with crimson reds and burnt orange hues. Prices vary based on itinerary, but start around $3,000r person and include meals, onboard entertainment, and complimentary cocktail events. Although this established cruise line sails to remote destinations across the globe including Alaska, Patagonia, and the Galapagos, Cruise West is perhaps most well known for adventure cruises on the Columbia and Snake Rivers. These cruises sail round-trip from Portland, Oregon and follow the path of Louis and Clark, past snow-capped mountains, never-ending canyons, and ancient petro glyphs though the Columbia River Gorge. The 7-night cruise takes travelers to the end of the Oregon Trail, passing the massive Multnomah Falls which plummet 620-feet, and stopping at Fort Clatsop – the wooden replica that commemorates the three-month encampment of the Louis and Clark expedition. The cruise line’s signature “Compass” enrichment program takes things up a notch with presentations by world-renown experts in science, culture, and history that will make each destination provoke thoughtful discussions. Recently, three of the ships received new “Explorer Class” cabins featuring eco-friendly comforts like water-conserving shower heads and ultra-soft bamboo fiber linens and towels. 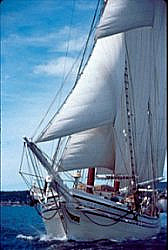 The nine-ship fleet also traverses the inlets and harbors of British Columbia, and in 2011 it sails the Mississippi River and St. Lawrence Seaway. Prices start at $3,099 per person and include excursions, meals, and port charges. For the remainder of 2010, kids sail for half price. The 160-foot, three-masted windjammer, the Arabella, stands out in the harbor of downtown Newport, Rhode Island. The ship’s saloon also acts as dining room, bar, library, and lounge and each of the 20 cabins offer portholes and private bathrooms. During the summer months Arabella sails the waters surrounding New England with a typical cruise calling on Martha’s Vineyard, Nantucket, and the Elizabethan Islands – to name a few. During autumn, Arabella coasts along the Chesapeake to join the Great Schooner Race before heading to the Caribbean during the winter months. One unusual aspect is the dining schedule: dinner is usually served at restaurants on shore instead of in the dining room. Five-night New England cruises start at $1150 per person and include breakfast, lunch, hors d'oeuvres, and some dinners (which vary based on the itinerary). Once a Dutch trawler, the six-cabin Wanderbird is now the coziest expedition ship sailing the far North, with varnished woodwork in the salon, library, galley, and lantern-lit coach house – a perfect location for curling up with a good book. Cabins are stocked with writing desks and private showers, not to mention the homemade quilts, rugs, and soap that add a personal touch. The “open wheel house” has ample space for passengers to saddle up next to the Captain as he navigates rocky coasts, fjords, and frigid waters laden with ice bergs. Hop aboard the 8-day Puffin Journey along coastal Maine, or experience a lengthy 10-to 17-day treks through Newfoundland and remote maritime villages in Greenland. With over 45 years of combined sailing experience, Captain Nick and his wife Karen Miles run the show, but they “allow the weather, terrain and wildlife to set the pace.” In route, you’ll likely spot whales, polar bears, and arctic birds, and during the fall, the ship heads back to Maine for foliage-spotting and lighthouse-themed cruises. Rates start at $999 per person. 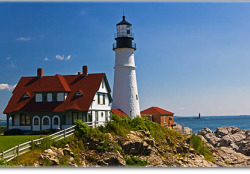 All Maine cruises are reduced by 25 percent when booked by June 30. Been on a small-ship cruise? Tell us about it!